BEAUTIFUL 3 years old home in The Falls at Little Creek. 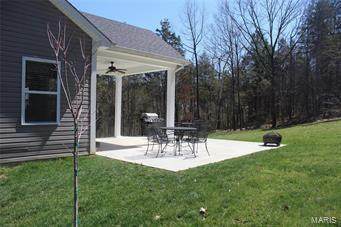 This 2100 square foot home sits on a semi-private 0.58 acre lot surrounded by woods. 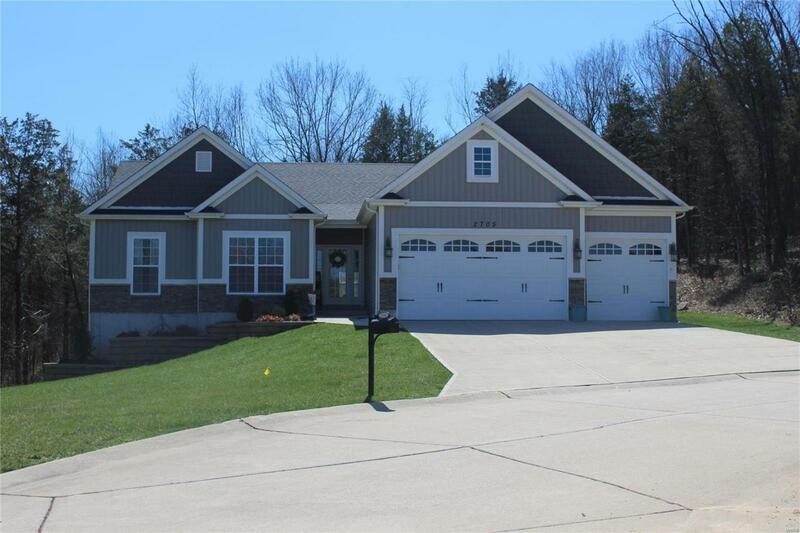 This home has a 3 car garage with carriage doors, 3 bedrooms, 2 full bathrooms. Spacious open concept including a 9 foot pour and 12 foot vaults in the Living Room, Kitchen, Master Bedroom and Master bathroom. Eat in kitchen boasts 42 inch black cabinetry including breakfast bar (ship-lapped), stainless steal appliances, desk with hutch, modern ceramic tile, with french doors leading out to a 22x22 partially covered patio. Great room features gas fireplace with stone surround and built in shelves. Dining room features hardwood floors. Spacious master bedroom features a 12 foot vault, walk in closet, and a double window overlooking the magnificent view. The master bathroom features a corner tub with tile surround, two adult height sinks, and a 12 foot vault. Don't miss out on this beautifully maintained home just 2 miles from Festus Schools!